Holds securely, removes easily. Mount posters, signs, and banners securely with these precut double-sided mounting tabs. 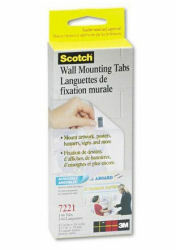 Tabs can be used for a variety of wall surfaces and are easy to remove for readjusting.